Instantly Feel ''At Home'', as you Experience this Very Treasured, All-Brick, Family Home, w/approx. 3,861 HSF. The Home offers 5 BDR, 4 BTH, Private Study/Sitting Room, Formal Dining, Den, & Ample Storage, situated on a Spacious .86-Acre Lot, w/2-car garage & concrete drive. This is a Very Special Opportunity - Incredibly Well-Maintained, Original Loving Owners, & Constructed by the Award-Winning Builder, Wayne Haddock of Pinehurst Homes - Rich with Craftsmanship, Warmth, & FRESH NEW UPDATES!! 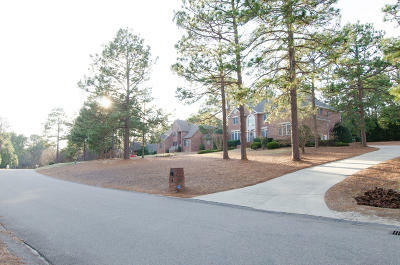 165 Woodland is Well-Positioned, within the highly-desirable Pine Grove Village Community, well-known for its Safety, Fantastic School District, Family Events and Amenities, & Walking Distance to some of our greatest Recreational Trails & Parks. Visit Listing Website, for All Listing Details! !